LED lighting is a revolutionary advance in illumination. With the introduction of reliable, cost-effective LEDs', the benefits of LED are now available for all applications. Energy Efficient Compared to traditional lighting sources, LED lighting is extremely efficient, using between 40% and 70% less electricity. Long Life Highly efficient LED light engines last longer than incandescent light sources. LEDs emit a steady stream of light without generating excess heat that is currently present in incandescent bulbs. Low Cost of Ownership Considering that traditional lighting sources have a built-in maintenance cost and consume more energy, LED lighting offers a tremendous savings in annual cost of ownership. Environmentally Friendly LED Light engines require only a fraction of the carbon output generated by traditional light sources. LEDs also contain no lead and are mercury free. Financial Incentives There are many programs and financial incentives available nationally that promote renewable energy and energy efficiency. Message boards can change information daily and can be utilized on all types of signs. The LED modules come in many styles and sizes, from monochromes to full color spectrums. An Electronic LED sign is a luminous panel on which digital readouts are displayed. It is a high impact sign that gets your business noticed. 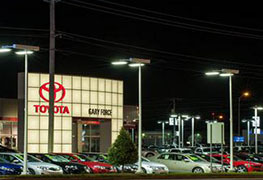 LED signs are available in red LED, amber LED, or full color video LED for eye-catching, high-impact advertising. LED displays are now commonly used in offices, stores, malls, theaters, corporate firms, and sometimes homes. 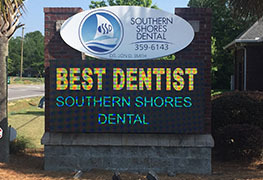 An Electronic LED display is extremely noticeable by utilizing light, motion, color, graphics, and high brightness to grab the attention of passing traffic. Because these signs have the flexibility to change your message on the go, it is possible to reach more potential customers that with other methods of advertising. Using an Electronic LED sign means instantaneous advertising and quick reaction to change that can influence potential customers. LED displays are also significantly more energy efficient with long LED lamp life, approximately 10 years.